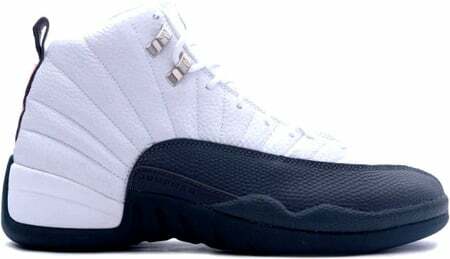 You can add another subtle Air Jordan 12 (XII) Retro to the archives, this is the Air Jordan 12 (XII) Retro Flint Grey, which features a White / Flint Grey – Metallic Silver color-way. The Air Jordan 12 (XII) Retro White / Flint Grey – Metallic Silver contains a smooth pebbled leather, silver eyelets, with red accents on the heel and sole. Released December 13th 2003, with a retail price of $135.